"Click on Files to Purchase and for More Info"
707507 Coarse 100 White Lightning File. For heavy sanding on acrylic nails. Leaves No Color Residue. 7-1/2" Cushion File. Washable. Sanitizable. 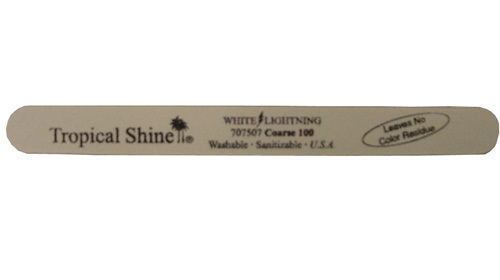 707509 Fine 240 Grit White Lightning File. 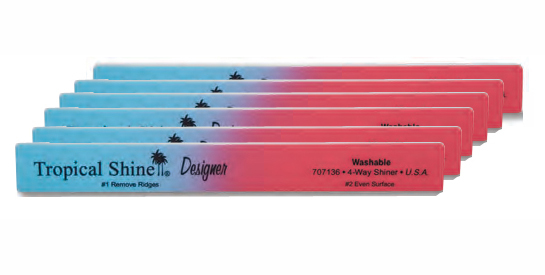 For heavy sanding on acrylic nails. Leaves No Color Residue. 7-1/2" Cushion File. Washable. 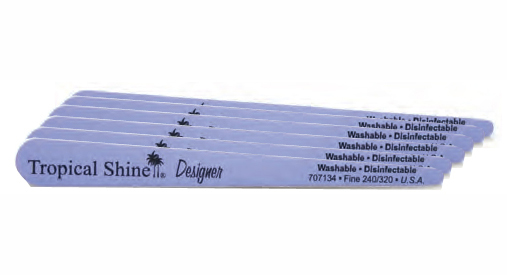 707307 Coarse/Medium White Lightning File for heavy sanding & smoothing on acrylic nails. Leaves no color residue. Washable. Sanitizable. 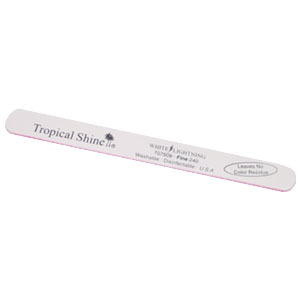 707308 Medium/Fine for smoothing & finishing on acrylic nails. 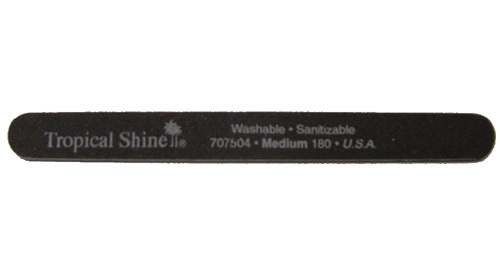 707504 Medium Black File for silk wraps or acrylic nails. 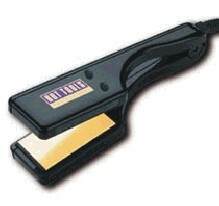 7-1/2" Black Cushion File. 707505 Fine Black File for finishing on acrylic or natural nails. 7-1/2" Black Cushion File. 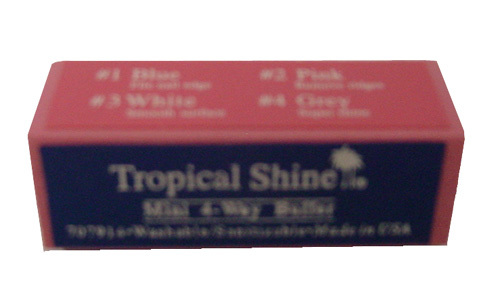 * Size: 7 1/2" x 3/4"
* For heavy sanding on acrylic nails. 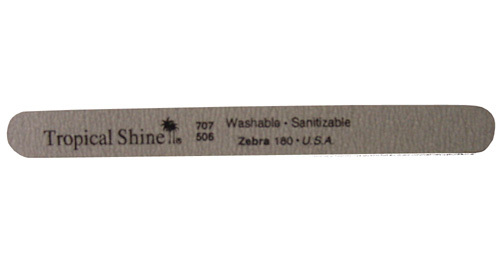 707506 Medium 180 Zebra File. No-Fill/ For medium & smooth sanding. Washable. Sanitizable. 7-1/2"
707306 Medium 180 Zebra File. No-Fill/ For medium & smooth sanding. Non-Washable. 7-1/2"
707914 Mini 4-Way Buffer Block. 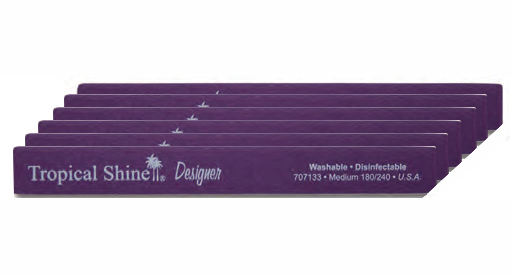 The advantage of a cuticle protection edge, but works like a file. 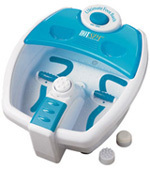 The Mini Block 4-Way Buffer has directions for usage printed on part. Washable. Sanitizable. 707202 Large 3-Way Buffer. 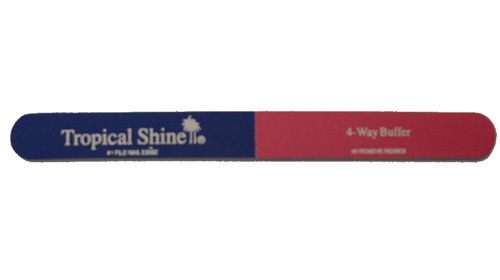 Our Buffers have the advantage of a 2-Way PLUS a File Nail Edge and Ridge Remover. Buffers have directions for usage printed on each part. 707201 Large 4-Way Buffer. Our Buffers have the advantage of a 3-Way PLUS a File. Buffers have directions for usage printed on each part. 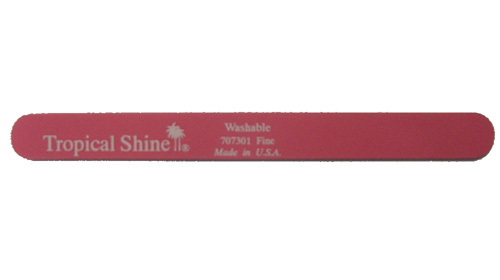 707301 Fine Pink File for final finishing on acrylic or natural nails. 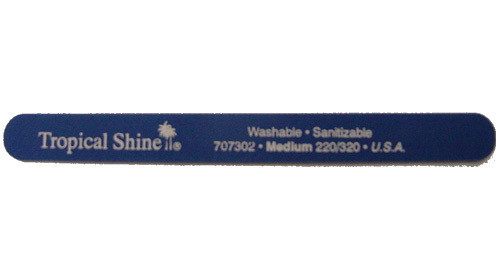 7-1/2"
707302 Medium Blue File for smooth sanding on acrylic or natural nails. 7-1/2" Cushion File. Washable. Sanitizable. 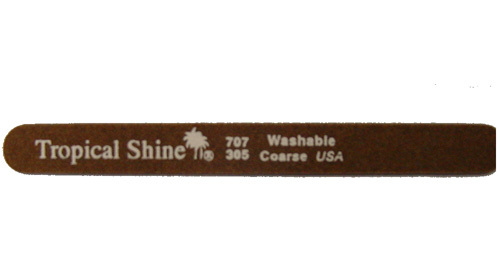 707304 Fine Tan File. 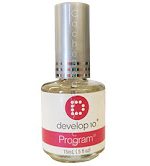 For final finishing on acrylic or natural nails. 7-1/2" Cushion File. Washable. Sanitizable.